At LazyPBX we love startups and since it’s the beginning of February and we’re all a bit blue, we thought we’d brighten up 2018 with a special offer just for you. If you’re a startup we’ll give your business a geographical/local number free of charge for 1 year from the date of activation (we’ll do the same if you have an existing number you want to port in). To get your free number (1) take a trial here (2) upgrade the trial to a full account (3) drop us an email with your company number and we will confirm entitlement and give further instructions. We think that’s all pretty cool for a startup; because it means you can have a full featured business phone system with a local number (London for example) and several extensions free of charge for a whole year. Contact us if you have any questions. To qualify as a startup you need to be a UK registered company incorporated within the last 12 months. Suitable evidence will be required. 1 free local geographic number is available per company. The number is free for one year from the date of activation, after that our normal DID charges will apply (currently £4.99 per month). The number may be ported from another operator (but must be in the companies name). The free offer applies to the local number only, other service charges may apply. Contact us if you have any questions. If the number is cancelled within the 12 month free period then the offer is deemed terminated. 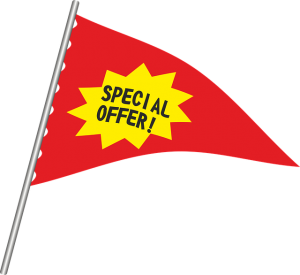 For the sake of clarity this offer only applies to numbers hosted on the callbrix service. Our normal account terms and conditions apply.